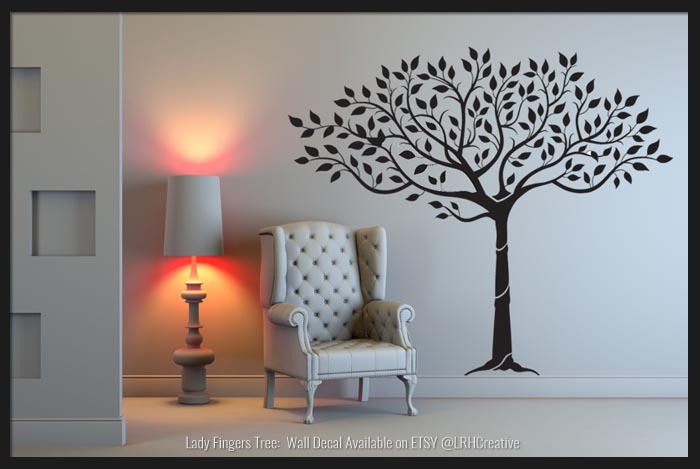 Lady Fingers Tree Wall Decal is a Wall Sticker or Wall Decal. It was created in Vector, which is scalable and is available on my ETSY Shop in 3 different sizes. I have this tree in my living room and never grow tired of it.